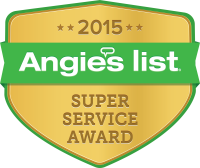 Five Star Gutters, LLC has been serving the metro Atlanta area since 2001. We are a professional rain gutter & metal roof installation company. We specialize in new commercial and residential installations. In addition, our maintenance department repairs existing roof and rain gutter systems that may not need complete replacement. Besides metal roofing and rain gutters we also install gutter guards and replace rotten wood fascia. We are licensed with the Georgia State Licensing Board, and carry all required insurance and bonds as required by law. 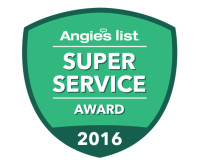 Since joining Angie's list, in 2012, we have earned their pretigous Super Service Award in 2015, and 2016. Over the past decades, we have also proudly maintained an A+ Rating with the Better Business Bureau. Hands-on management by each job foreman. We carry multiple licenses with the Georgia State Licensing Board. An up-to-date fleet of trucks that don't leak oil on your driveway. Expertise in metal roof products. 24 hour turn-around time on your project plans. The main focus of Five Star Gutters is to provide high quality work at an affordable price. With our knowledge and expertise we deliver high quality finished products that other companies in the industry are unable to match. We select the correct products for each individual job. We have the latest rain gutter and roofing equipment to enhance all projects. We specialize in complete research of roofing, rain gutter & sheet metal products and select only the highest quality products for your project, which will provide maximum return on your investment for YOU.